Make, take, dispose and repeat — it’s the linear-system economy we’ve been living with — and it’s on its way out. The circular economy (CE) takes aim at replacing this old model and inspiring businesses, communities and the next generation of thought leaders to design a regenerative and restorative systems-approach to the economy and the way we live. And companies are leading the charge — re-imagining their products and services — and hacking their existing business models to deliver new value. Every year, The Circulars — the world’s premier circular economy award program — recognises organisations for their efforts. Steelcase was named as a 2018 finalist along with seven other multinational organisations for leading the way by simultaneously driving growth and sustainability. Securing this spot was no easy feat. Finalists were selected from nearly 300 entries from over 45 countries. IKEA won the multinational category, while Steelcase was named a finalist along with Google, resource recycling company GEM, electricity and gas manufacturer Enel and fashion retailers C&A and H&M. After 106 years in the furniture industry, the nomination signals Steelcase continues to make headway in its longstanding commitment to a more circular, sustainable business. Simply put, the circular economy concept promotes the notion of using resources for as long as possible and once they are worn out, recovering and/or regenerating the materials into something new. Avoid waste — reuse, remanufacture and redesign instead — and keep this mindset throughout the entire design process, not just at the end. 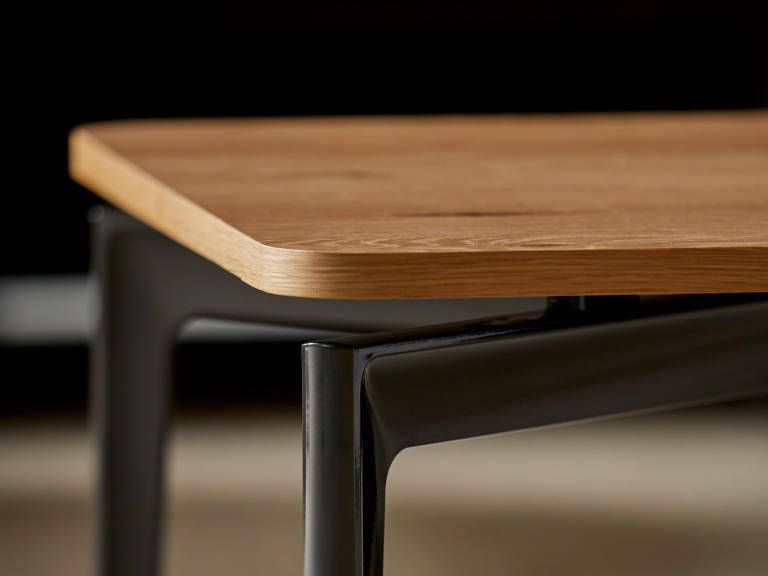 The related concept of “cradle-to-cradle” design, made famous by the seminal “Cradle-to-Cradle: Remaking How We Make Things” by Michael Braungart and William McDonough has been foundational in Steelcase product development practices. 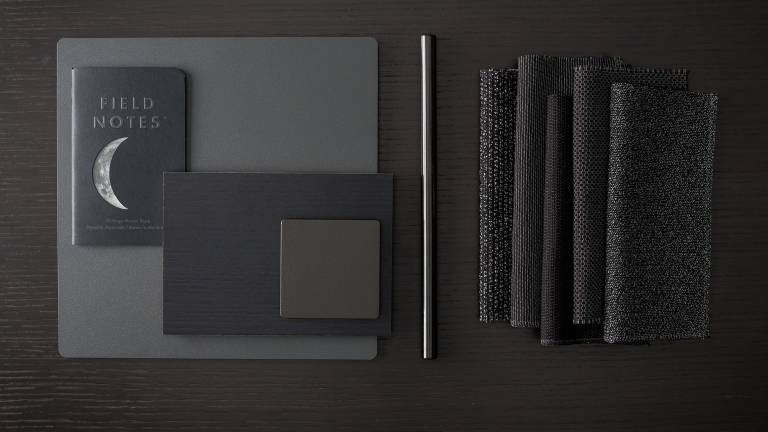 By mixing PET from recycled bottles with melted scrap fabric, Steelcase created a line of five New Black textiles, made from 100 percent recycled content. many ways Steelcase is advancing CE progress beyond the furniture industry. Angela Nahikian, director of Global Sustainability at Steelcase, says business results and sustainability are intertwined. Redesigning business models with a CE lens is a “very entrepreneurial gig,” she adds. Early estimates developed by the Ellen MacArthur Foundation and partner McKinsey & Company suggest that adopting circular economy principles could generate a net economic benefit of 1.8 trillion euros for Europe by 2030 — doubling the benefits offered by the current linear model. Likewise, many companies and industries are predicting potential revenue benefits of CE models ranging from 2x to 6x. “When people start to see how a circular strategy works, the benefits to customer value, growth and sustainability performance become obvious,” Nahikian said at the GreenBiz 17 conference in Phoenix, Arizona. With an entrepreneurial and innovator’s mindset Steelcase is taking a systems-thinking approach to design, problem-solving and future planning. Systems-thinking looks at the holistic picture by analyzing interdependencies and relationships among the facets of a system. “It’s tempting for people to focus on a narrow set of sustainability problem areas like product waste. These are important, of course, but we need to see these problems for what they really are: symptoms of a much larger problem — an unsustainable economic model. The circular economy requires us to look at the design of the whole business system,” explains Nahikian. The Steelcase Series 1, designed for sustainability as well as quality, ergonomic comfort, aesthetics and price accessibility, is made from up to 23 percent recycled content and is up to 95 percent recyclable itself. With New Black upholstery, the chair leaves an even smaller footprint. For example, Dicks and team run the company’s recapture and redeployment programs offering sustainable office services that help businesses assess furniture inventory and create optimised redeployment plans. The strategy is working. In 2016, one project removed 2,200 workstations from three different French Ministry of Ecology buildings. In total, it represented over 12,000m3 of recycled furniture removed and diverted from the landfill – entering recycling streams or reused by other organisations. Furniture isn’t the only thing Steelcase is giving new life. The New Black surface materials collection begins with scrap fabric from the company’s manufacturing facility in Athens, Alabama. 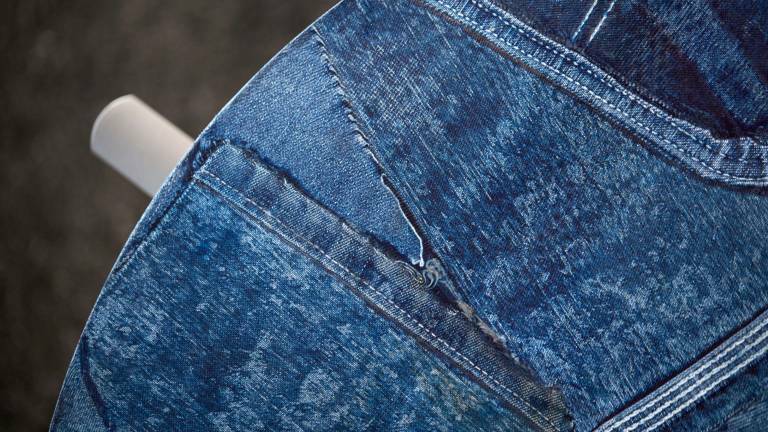 Recycled into yarn, dyed black and rewoven into new textiles for seating products, the 100 percent recycled material makes up five distinctly beautiful patterns that bring circular materials to the workplace. The design industry recognised New Black with the Innovation Award at Neocon 2016. Planked oak and walnut veneers are other examples of sustainable materials from Steelcase. Traditionally, wood with knots or uneven grain didn’t meet production standards, leaving leftover oak and walnut pieces to be discarded, recycled or resold. Today, this previously unusable wood is turned into one-of-a-kind furniture that showcase the knots, visible grain and color variations, offering customers the more informal look people are seeking at work. To prevent scrap wood from going to waste, the Steelcase operations team saw an opportunity for a new material offering: planked veneer. 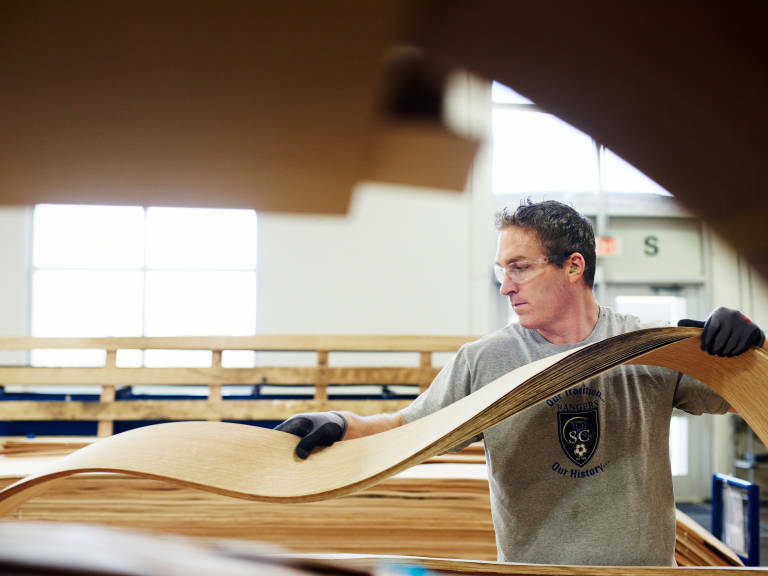 Production of this new offering — that celebrates the uniqueness of wood through seaming together different scrap veneers side by side — has saved $1 million and over 400 trees. Another CE-inspired service is to help clients understand how their spaces are being used so they can make informed decisions about changes. Workplace Advisor uses embedded sensors that gather data about how people are using a space, and provides valuable insights to help guide a company’s workplace strategy. “Instead of dropping furniture into a place, we can monitor use patterns, performance, wellbeing, collaboration — those really critical pieces of the workplace engine. We can offer suggestions on how those factors might change and collaborate with our clients to optimise those environments,” said Nahikian. Steelcase continues to work on addressing sustainability and the circular economy through various explorations and collaborations with innovative companies. 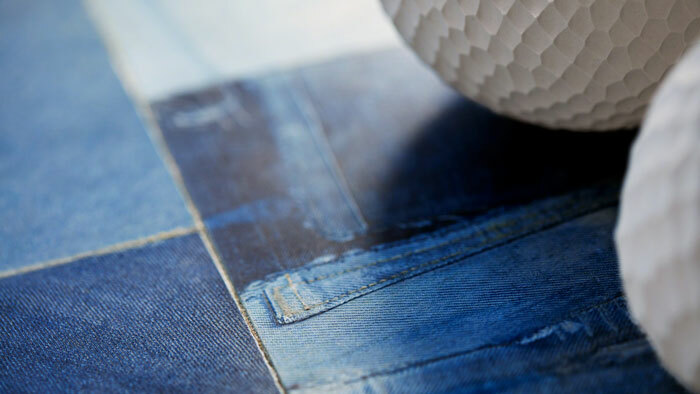 In one recent project, Steelcase worked with Natural Fibre Welding to strengthen recycled denim and produce a tabletop entirely out of used jeans. Steelcase has been on a mission to drive sustainable business innovation since the company’s inception. 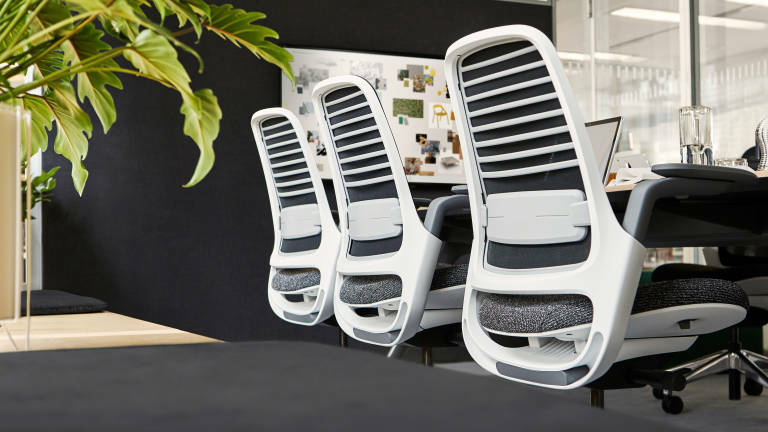 It’s a tall challenge to question existing design principles and business assumptions, but it’s something Steelcase has repeatedly done. “For us, sustainability has always been about creating value, but it’s going to get more exciting from here. Circular economy practices are a manifestation of our purpose,” says Nahikian.